SFP+ Cable: How Much Do You Know? Recently, the popularization of SFP+ cable has become the trend of data center interconnection. However, what is SFP+ cable? To this end, different SFP cable manufacturers have different presentations and descriptions. Here, let’s discuss the exact meaning and classification of SFP+ SFP+ cables. SFP+ cable refers to the high-speed cable that are equipped with transceiver (without components, can only transmit signals) at both ends. It was widely used in storage area networks, data centers and high-performance computer connectivity. SFP+ cable supports 10G Ethernet, 8G Fiber Channel, 10G FCoE, 10G InfiniBand and various unified architecture link applications. Today, several types of SFP+ cables are accessible, such as SFP+ direct attach cables, and SFP+ active optical cables. In additional, there are two types of SFP+ direct attach copper cable: SFP+ active direct attach copper cable and SFP+ passive direct attach copper cable. 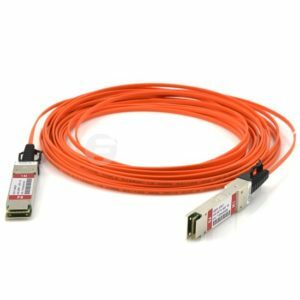 Also known as twinax cable, SFP+ direct attach copper cable is used in rack connections between switches and servers, containing a high-speed copper cable and two SFP+ copper modules. With the low cost and low power budget, the SFP+ direct attach copper cable has the advantage of high-end port density, configurability, and utilization. The cables are thermally removable and insertable, meaning that you can remove and replace them without turning off the switch or breaking the switch function. SFP+ Active Copper Cable: To enhance the signal and driven from the port without additional power requirements, SFP+ active direct attach copper cable assembly contains a low power circuit in the connector. As a low-cost alternative to optical transceivers, the active version is often used in row or intermediate row data center architectures for interconnection distances up to 15 meters. 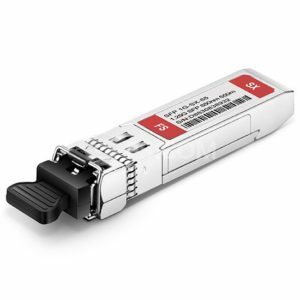 SFP+ Passive Copper Cable: As a high performance connectivity solution, SFP+ passive direct attach copper cable assembly supports 10GB Ethernet and Fibre Channel applications. Besides, it has higher reliability and fewer components with lower cost. There is no real visual way to distinguish the difference between active and passive twinax cables. The active or passive twinax cable assembly can be directly connected to the SFP+ shell. Active twinax cables have active electronic components in the SPF+ housing to improve signal quality; passive twinax cables are only a straight line “wire” without active components. Typically, a twinax cable less than 5 meters in length is passive and a cable longer than 5 meters is active, but this is a general rule, depending on the supplier. Most manufacturers will have some kind of marking on the cable connector head, which will mark the cable as active or passive. With a full-duplex construction, SFP+ active optical cable can transmit data at 10Gb/s. In additional, it can support a single transmission between 1 and 100 meters. 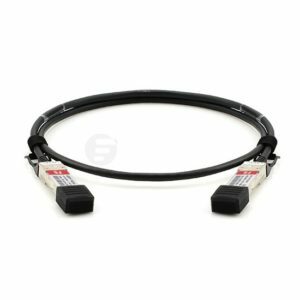 Supporting single-channel and high-speed data link applications, SFP+ active optical cable is fully compatible with Fibre Channel, and Ethernet. As a cost-effective interconnect solution, SFP+ active optical cable has the edge of high speed, longer cable length, and enhanced signal integrity. It is no doubt that SFP+ cables have many advantages after a brief introduction to the three SFP+ cables. First, SFP+ cables are interchangeable and hot-pluggable, which means that when the device is working too early, you don’t have to completely shut down the system to replace the device. Second, it is compatible with other protocols such as Ethernet, Fibre Channel, and PON standards, maintaining the speed and integrity of the signal as it travels over long distances. Third, the SFP+ cable is not too expensive, making it more and more popular. FS.COM can provide you with the reasonably priced and high quality cables. 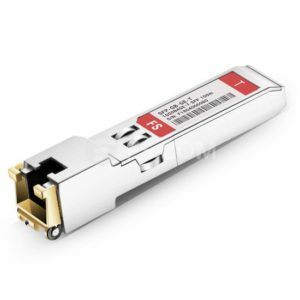 By the way, we also has very excellent SFP modules. If you have any need or question about SFP+ cables, please contact us. This entry was posted in SFP/SFP+, Singlemode Fiber Patch Cable and tagged SFP Cable, SFP Module, twinax cable on August 17, 2018 by Admin.